With today’s launch of Bridging the Gap, I am thrilled to be part of the 200 Influencers who are taking part in an unprecedented campaign for social change. As women from multiple and disparate demographics, we have much to offer one another. We are stronger together! This campaign unites the Millennial and Midlife Demographics to blur artificial boundaries while encouraging Reciprocal Mentorship. I am so excited to introduce you to beautiful partner, Miranda Mendoza of Slashed Beauty. This award-winning blogger featured in numerous print and online magazines, ads etc. is a beauty in her own right as well as kind, savvy, smart, creative and a very determined young woman. Miranda was born and raised in Los Angeles and recently moved to Las Vegas to be with her fiance. 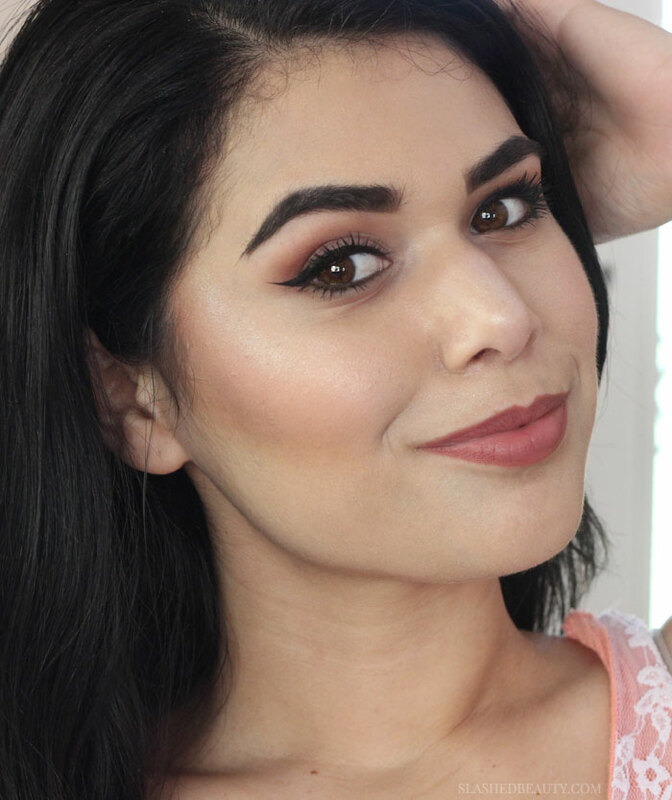 Miranda started her blog her freshman year in college when she began sharing her beauty findings and tips which in turn allowed her to fuel her makeup addiction. Miranda's niche, beauty trends on a budget, has grown into an extremely successful business. Her blog is her full-time career, which was a goal she achieved last year. With her Mother as her major influencer, the apple does not fall too far from the cart. Miranda's Mother, a self-made woman, paved her way to success with a small idea for a website. She is the founder of the successful website, BabyNames.com. My favorite post on Slashed Beauty is "How to Make Your Lips Look Bigger." Simply brilliant! And my second favorite is here; using OZNaturals to help under eye puffiness. Many posts including these two are helpful to women at any age! Interesting that even though there is a gap in age and generational differences, we still have many similarities. Miranda and I both believe that as bloggers and influencers we need to tell brands, readers, and the public, what we stand for, what we want to see, what we love and what needs work, including a focus on women and beauty at all ages. On the subject of aging, Miranda's hope is that once she sees tangible signs of aging that she can take them in stride instead of giving in to the culture including the pressure to conceal the natural process. However, Miranda also knows that it may be hard to speak for her future self, as part of the beauty industry since society's current perception is that beauty has an age limit. Miranda, I highly doubt your "beauty" will fade and I am also confident that your blog and influence will help change that misconception in the future. It's rare to be able to take someone at face value, even when we have not met face to face. I am grateful to bridge the gap with this fierce woman and to develop an ongoing relationship where we help each other in the future. Isn't it time we came together to bridge every single gap that’s out there? As a society, we’ve made substantial progress in letting go of many labels and divisions, yet when it comes to ageism, it doesn’t get talked about. We intend to change that together. There is energy and innovation in youth and wisdom and experience in midlife. Let’s share with one another and embrace both for the greater good. Deep inside of every Midlife Woman, a Millennial exists and within every Millennial lies a future Midlifer to be. We invite you to join us as we show you that age is just a number while it’s your attitude about life that keeps you young or makes you old. With the concept of Reciprocal Mentorship, we encourage these demographics to embrace one another and share their unique wisdom. Thank you, Miranda for bridging the gap with me as we are definitely #StrongerTogether.